Maybe it’s because it’s been over 12 weeks since I left home. Or maybe it’s because there are only a little over 5 until I return. Then again, maybe it’s total coincidence. 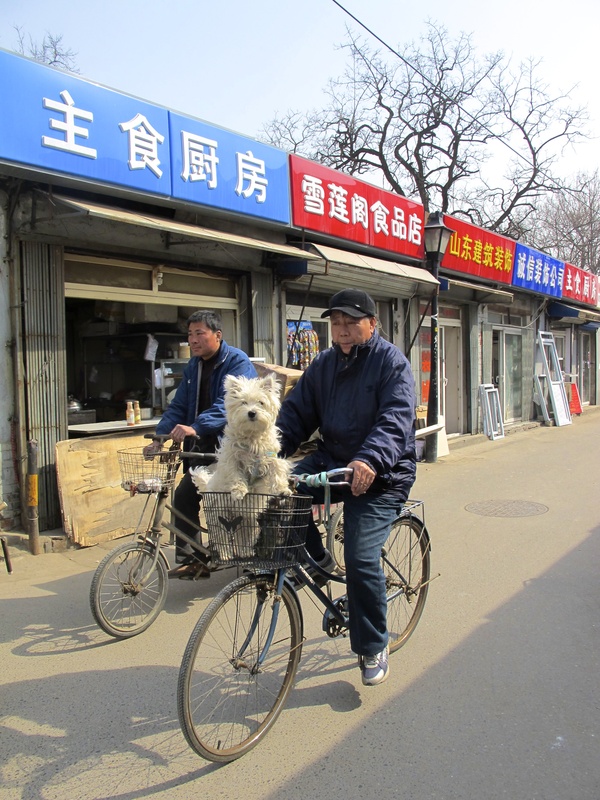 But over the past two weeks, I’ve found myself seeking out and bumping into pieces of home all around Beijing. identical décor, identical menu, and most importantly, identical food. Unfortunately, the prices were also identical. 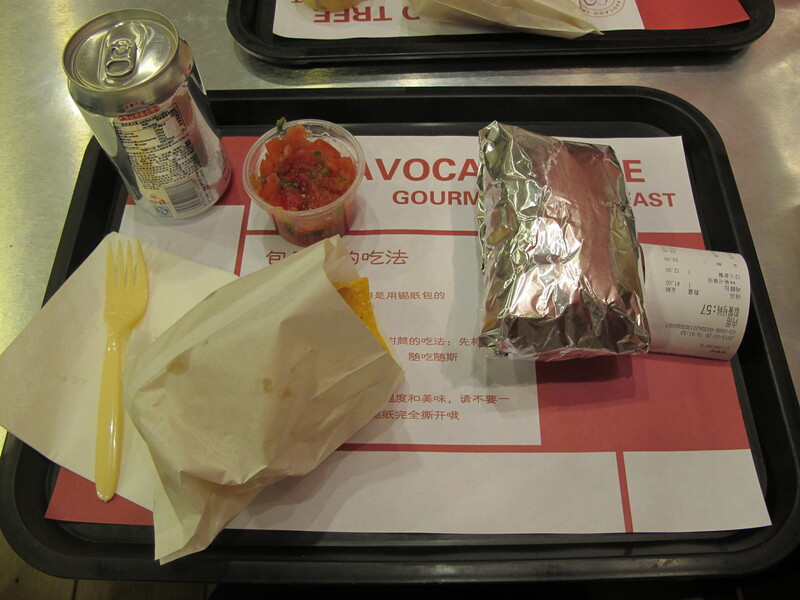 A $6 burrito doesn’t seem that outrageous in the U.S., but when I’ve been spending less than a dollar on most of my breakfasts and lunches, it felt like quite the robbery. It was delicious, though, and worth every kuai. On Wednesday we grabbed dinner at a Thai restaurant in the swanky expat neighborhood called Sanlitun. It was great, but no competition for the pad thai at Big Bowl or Sweet Angel. 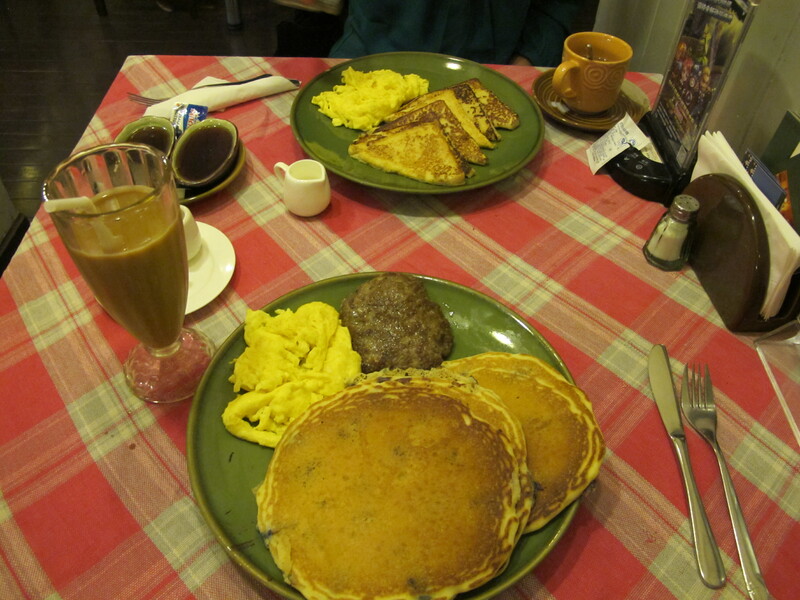 And finally, I filled my pancake craving on Easter Sunday at Grandma’s Kitchen, a restaurant near the Silk Market. Meghan and I dressed up for the occasion before making our way to one of Beijing’s few American breakfast places. I loaded up on real coffee (not instant, which people seem to really like both in India and China), blueberry pancakes, sausage, and eggs. It was perfect and left me full until nearly 8 that night. There also appeared to be a Minnesota exodus to China this weekend; I ran into over 200 people from the Twin Cities over the course of Saturday and Sunday. 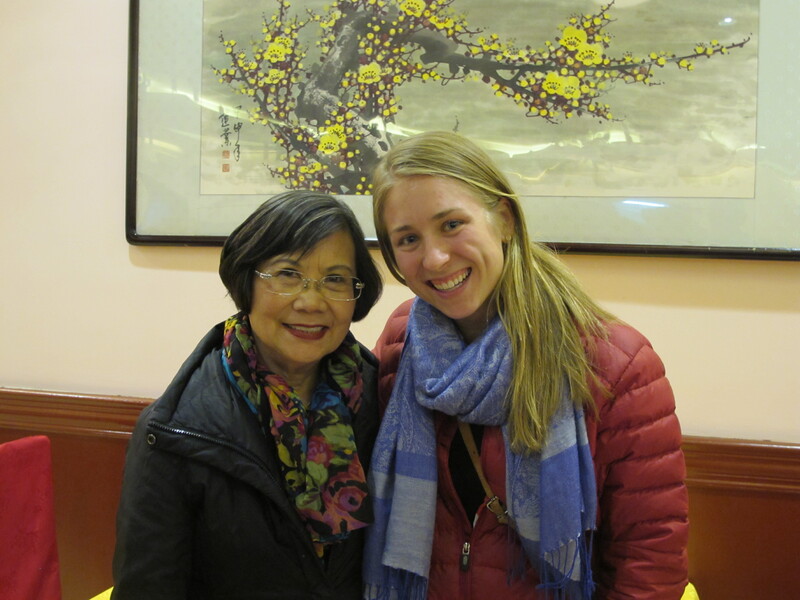 A few weeks ago, Ms. Wong, my high school Chinese teacher, contacted me about meeting up during Breck’s annual China Trip. We agreed to meet up at a restaurant on Saturday night. That afternoon, I left myself plenty of time to find the place and even brought a book in case I got to the restaurant with a lot of time to spare. That was real overkill because as it turned out, I arrived to the restaurant 45 minutes late and never ate dinner. I got terribly lost after getting out of the subway station and couldn’t find anyone with reliable directions. 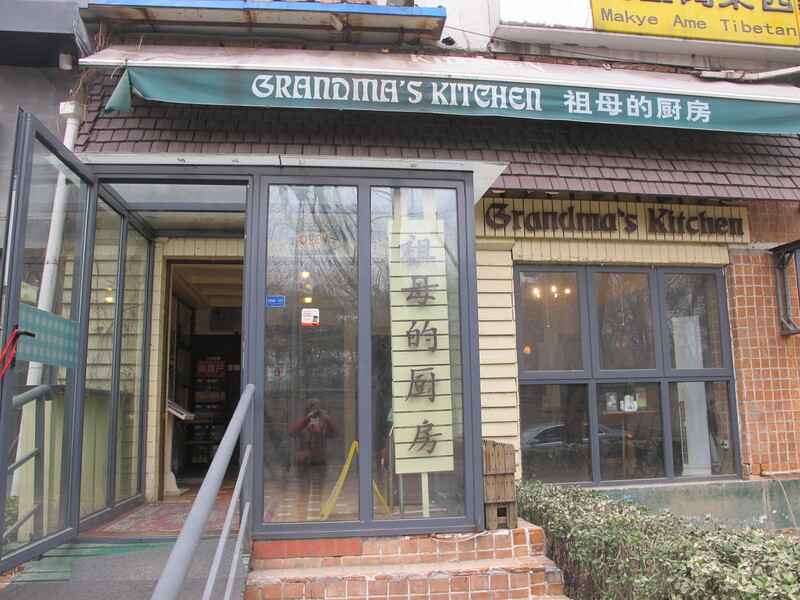 My journey to the restaurant consisted of walking one direction down several lanes of hutongs then being sent back the other way under the guidance of shopkeepers and other residents. 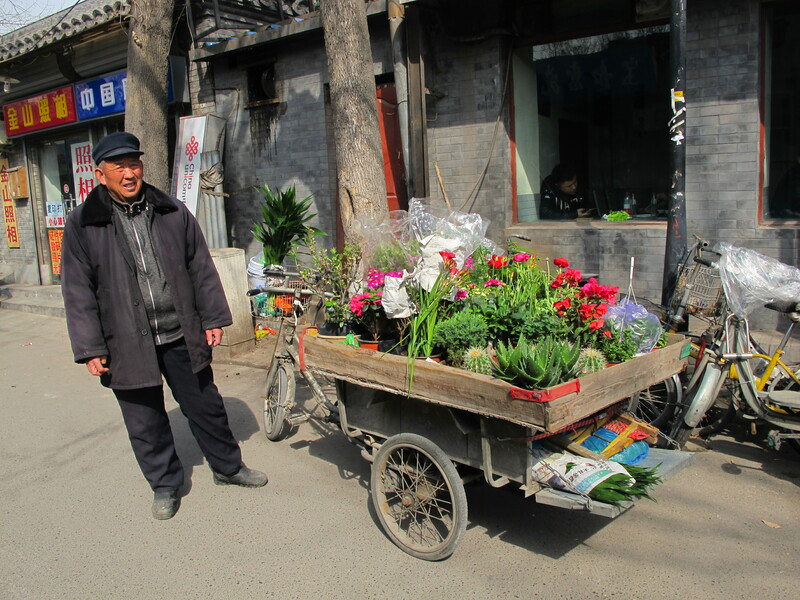 I rode on the back of a man’s small rickshaw, who then proceeded to drop me off in a random alleyway and demand 300 yuan ($50) for the five minute rickshaw ride; when I recounted the story to my parents, I boasted that I’d reasoned with the driver and convinced him to let me get away by only paying 25 yuan (around $4). They were none too pleased by my bargaining techniques. In retrospect, it was pretty stupid and something I hope to never repeat, even though I am pretty proud of my bargaining. I finally arrived to the restaurant by cab and walked in as dinner was being cleared from the tables. Ms. Wong was making announcements before the group headed out. In typical Ms. Wong fashion, she looked up and without skipping a beat announced to the group, “And we’re joined by Katie Ross.” All 100 people turned to me. It was my turn to talk, whether I liked it or not. 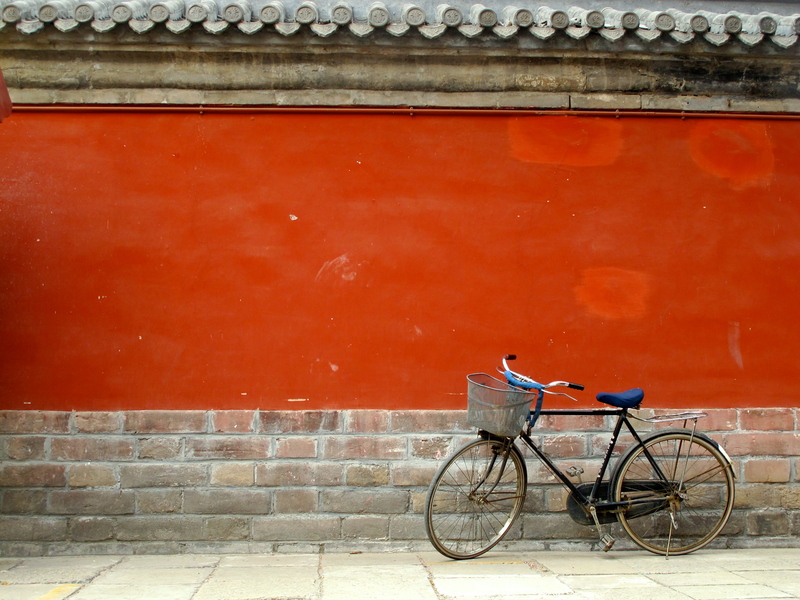 I told people about what I was doing in Beijing and how I’d liked the trip so far. Ms. Wong asked me to talk about Bowdoin and my plans for the future. The whole experience made me feel so old. 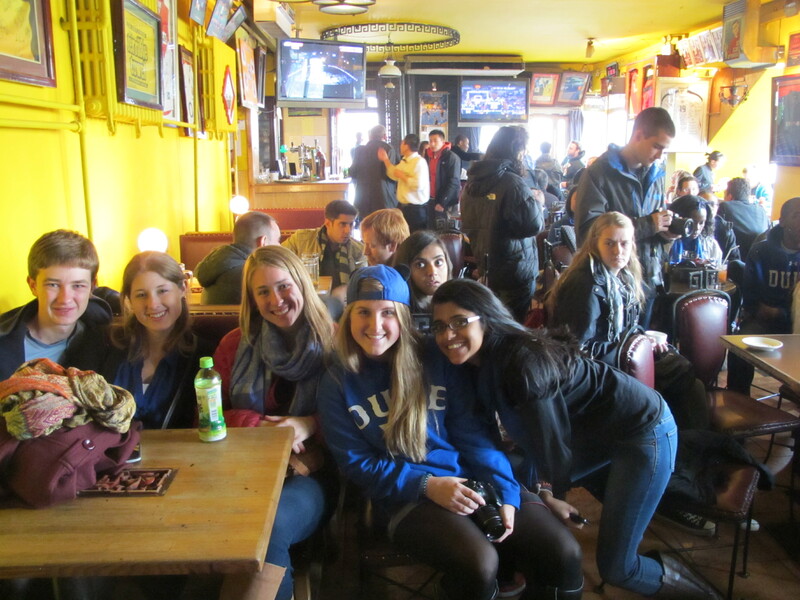 I remembered meeting alums four years ago when I was on the trip, and now suddenly I was old enough to be one of them. Things had come full circle. Ms. Wong was the first Chinese teacher I ever had and is without a doubt the reason why I’m an Asian Studies major today. Me being in China right now really is all her doing. While the trip to the restaurant nearly got me killed, it was wonderful to see Ms. Wong again and talk to students and parents on this year’s trip. Another surprise came on Sunday morning after my Easter brunch with Meghan. 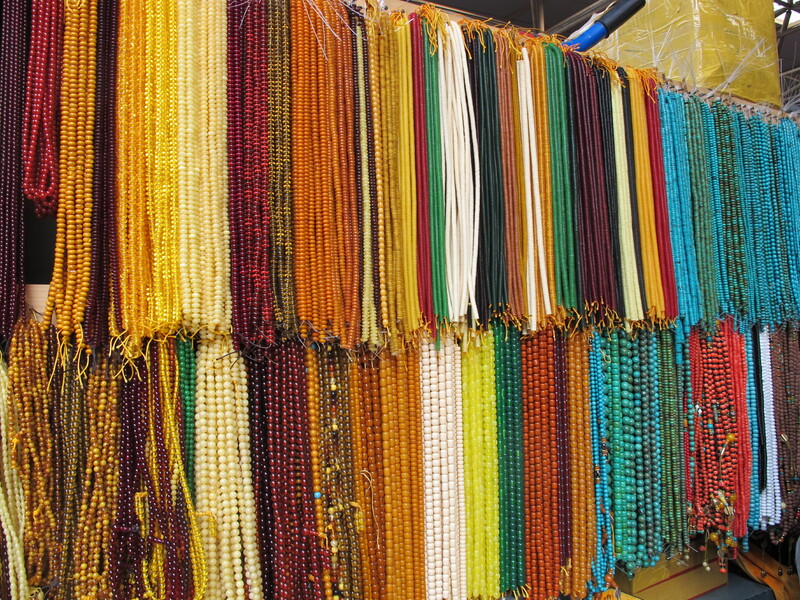 She and I decided to stop by the Silk Market before heading back to campus, and as we walked through the parking lot, I noticed a big tour bus with a red sign for Eden Prairie on the inside of the dashboard. 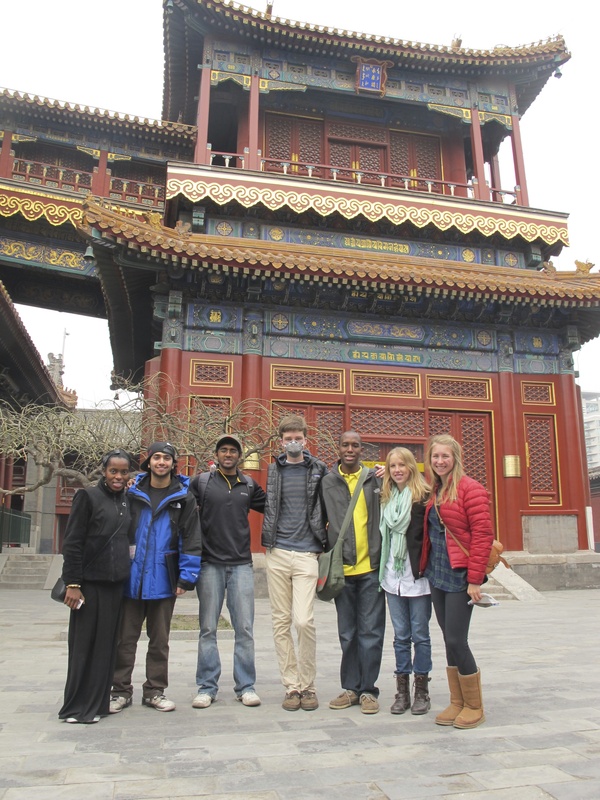 It seemed in typical Chinese fashion to string two pleasant sounding words together to name a tour group. Meghan snapped a picture of me next to it, and we moved along. After walking around the market for an hour, we decided to head out. A group of boys cut in front of us and I noticed a small red and black insignia on one of the boys’ jackets. I called after him, “Hey. Excuse me? Are you by any chance from Eden Prairie, Minnesota?” The boy stopped and looked around for a second before responding, “Uh, yeah?” I apologized for being so creepy, and told him that I was from there too. 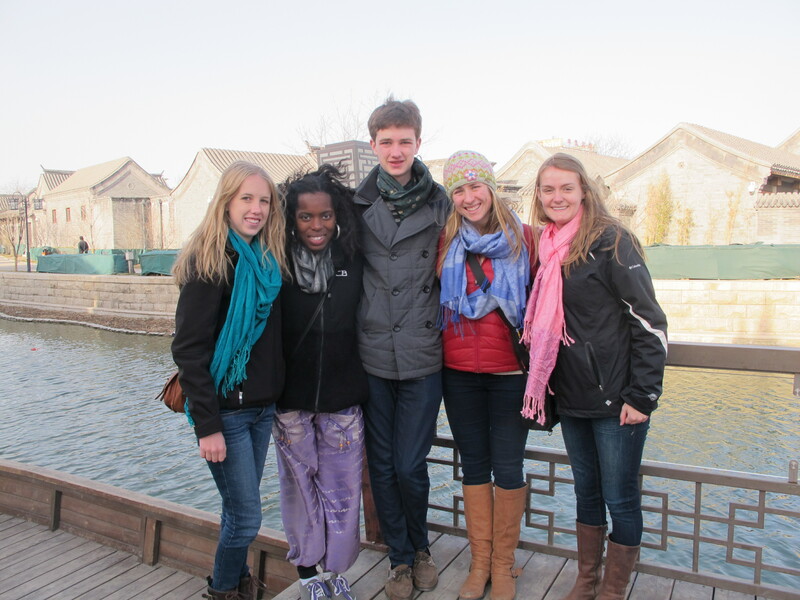 It turns out the EP band was on tour in China for their spring break; 92 of them were on the trip. 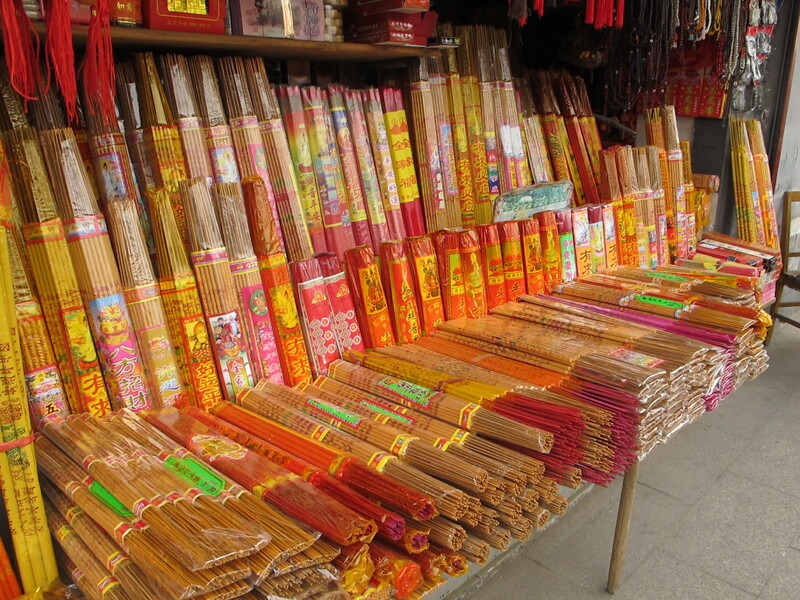 So with me, 93 of EP’s 60,000 residents were in Beijing, all in the same market at the same time. While I’ve been finding home, I’ve also been setting up my new one here over the last two weeks. 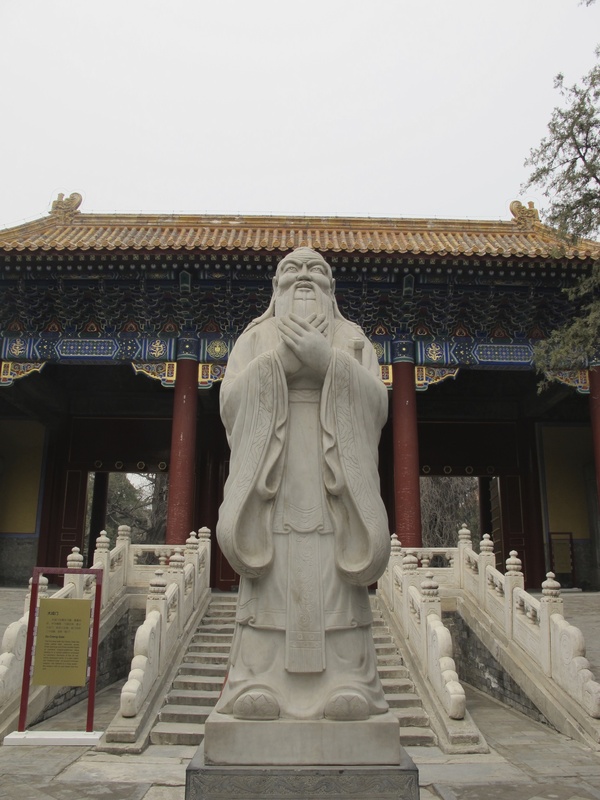 My friends and I have explored more of Beijing, going to Drum and Bell Towers and walking around Nanlouguxiang in the Houhai area and visiting Yonghegong and the Confucius Temple near Dongzhimen. We’ve discovered our favorite neighborhoods and cafes to hang out in. We’ve gotten our nails painted and hair cut at local shops. We’ve found our favorite shopping spots and given nicknames to all the places we get dinner; high up on the list are Ralph’s restaurant, the Shanghai restaurant, the English picture menu place and Maidanglao (McDonalds in Mandarin.) The fact that I’ve found aspects of home is not at all to say that I haven’t noticed and relished the totally foreign aspects of the city. 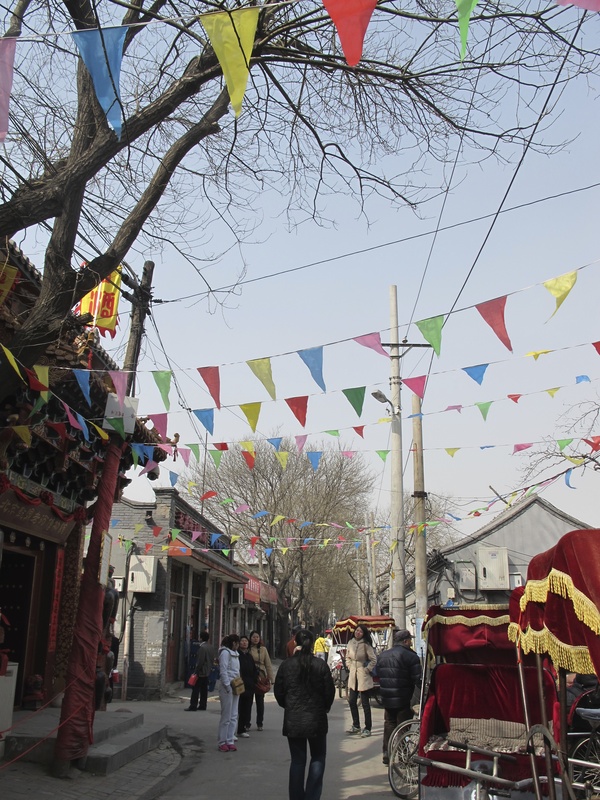 Yesterday, Swetha and I went out to Changping, a district over 40 kilometers northwest of Beijing city, to conduct research for our project on maternal and child health. 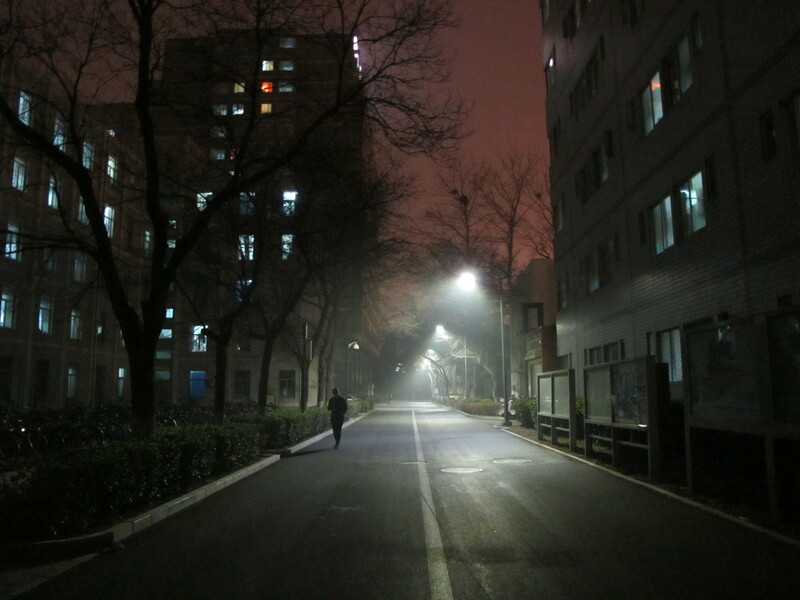 We left the dorm at 6:30 AM and arrived at the health center in Changping two and a half hours later. We were accompanied by our two co-researchers from Peking University, Bingyu and Xinyang. 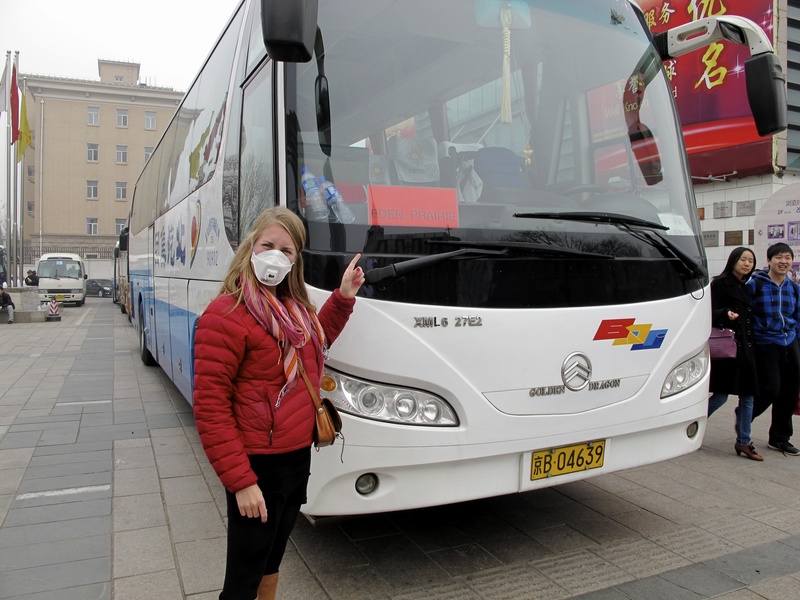 The four of us arrived at the Changping Health Bureau by bus and then met up with a driver and two folks from the Health Bureau before driving to the Chang Ling Community Health Service Center. We toured the facilities and spoke with administrators and health care workers about the center and the services it provides to pregnant women and newborns. By the time we wrapped up our tour and interviews, it was 10:40 AM, and we were ready to head back to campus. Our hosts asked if we wanted to stay for lunch, but Bingyu kindly informed them that we weren’t very hungry and had to get back for 2 PM class anyway, but thanked them for the offer. They insisted we stay. We giggled and declined the offer. Apparently “no” was not an acceptable answer. The promised they’d keep it simple and quick. Two minutes later, nine of us piled into a van that was waiting outside the health center and we headed out to a restaurant to eat. We arrived at a small restaurant that appeared to be constructed out of temporary housing material. As we walked toward the entrance, we passed by an outdoor area with a tarp overhang that appeared to be the kitchen. Swetha and I exchanged a glance; it looked like we’d be going hungry at this meal, not that we were even that hungry to begin with; it wasn’t even 11 AM yet. We sat down around a large round table and the director of the health center looked at the menu and began rattling off the group’s order to the waiter. He’d heard that Swetha was a vegetarian, but he wanted to clarify, since vegetarianism is a pretty foreign concept in China. He asked her if she could eat chicken (no), fish (no), egg (yes), and finally asked if she minded if the rest of the group ate meat (of course not). With the last response, all of our hosts breathed a sigh of relief, laughed for a moment, and the meal ordering resumed. Within 15 minutes, the huge lazy susan in the middle of the table was filled with dishes: tofu soup, fried chicken, eggplant noodles, fried green herbs, wild mushrooms, sizzling sausage, and sautéed veggie patties. All together, the director had ordered 16 dishes for 9 people. At several points during the meal, our waiter had to come remove plates from the lazy susan, which was already massive to begin with (probably 3 feet in diameter.) The lunch lasted for two hours and was anything but simple, but it was delightful. 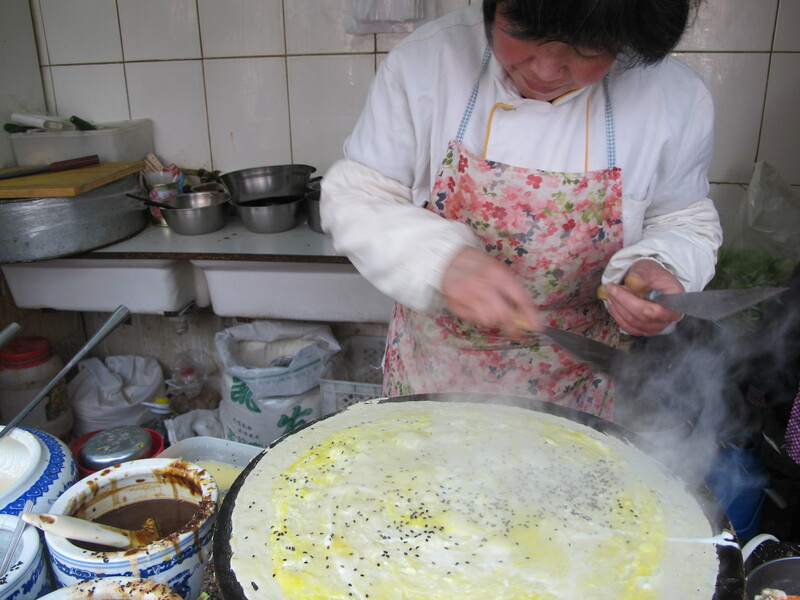 Many of the dishes were things only served in villages (Bingyu and Xinyang had never heard of several of them even though they’d only lived 40 km away their whole lives.) And close to a third of the dishes were purely vegetarian; if you know Chinese food, you know that this is an uncommon ratio of vegetarian to meat dishes. 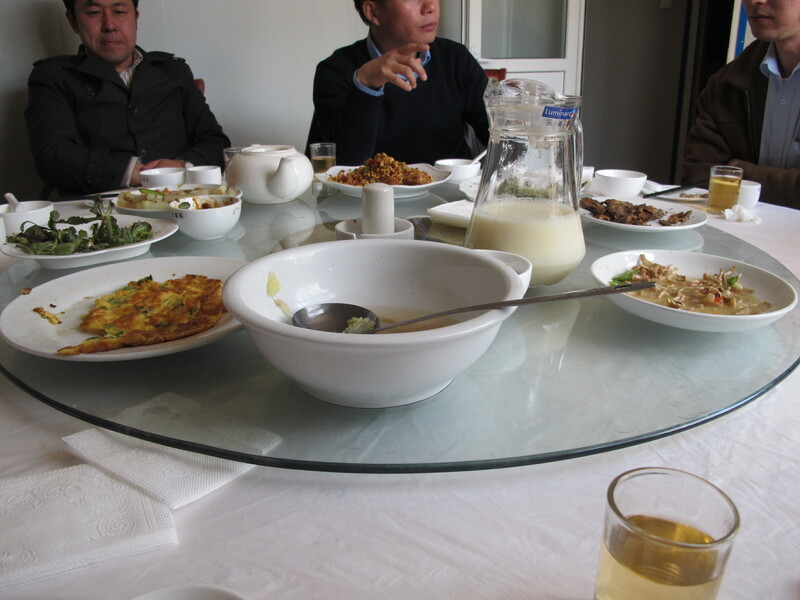 But our hosts wanted to please us, and graciously ordered several dishes meat-less. The fact that I’ve actively sought out and in cases just chanced upon things from home is not at all to say that I haven’t loved the very foreign aspects of my stay. I guess I’ve realized that looking for home is just a natural consequence of being away from it. 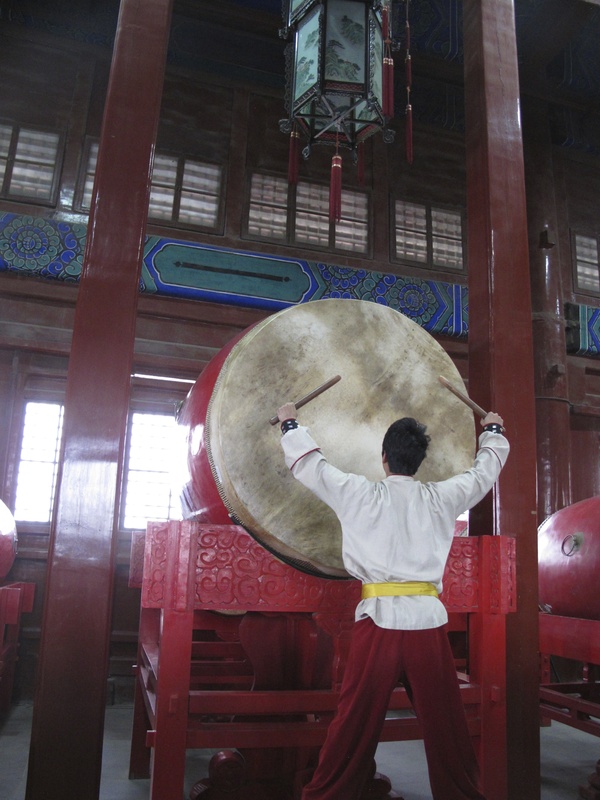 In two days, we’ll head to Yunnan province in southwestern China. Yunnan borders Myanmar, Laos and Vietnam and also houses a portion of the Himalayas. Ethnic minorities make up over a third of its population. All that I’ve heard and read about Yunnan leads me to believe that it will be the most exotic place I’ve been on this trip. I may have been able to find semblances of home in Beijing, but surrounded by the Himalayas, there will be no doubt that I’m far from Eden Prairie. Then again, I hear there’s plenty of snow and great mashed potatoes…home may not be so far away after all.